Oh, the farm. You and your animals have been so good to me over the years – and you have provided endless entertainment for the kids in my storytimes. Let’s never break up. Who doesn’t love a good game of I Spy?! This book has everything I love – great illustrations, clever word play, a guessing game, and an alternate purpose — all of the animal noises are included so the kids can practice. We get glimpses of the animals through a hole in the center of the book. 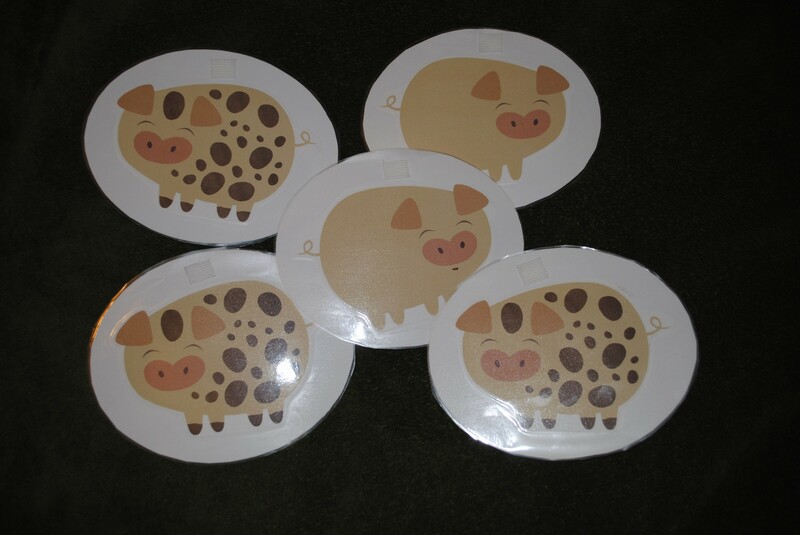 The clues are straightforward enough to engage the Toddler crowd and easy enough for the Preschoolers to feel like the big kids they are when they guess it correctly. 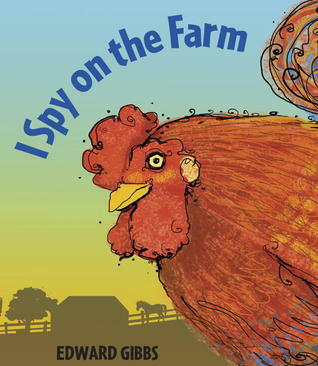 Read about Gibb’s title I Spy Under the Sea in a previous post. Why are the horses so tired during the day? Farmer decides to find out just what they are up to at night and boy is he surprised! 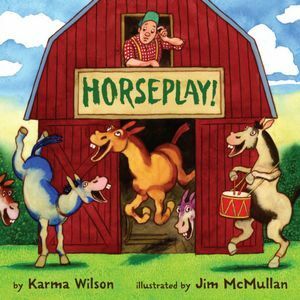 I read this rhyming book to Preschoolers because of the length – and School Agers enjoy the silly pictures of horses playing cards and engaging in Leap Frog. For a long time, picture books featuring horses were few and far between. This is a fun addition for our little horse aficionados out there. One, two, buckle my shoe! 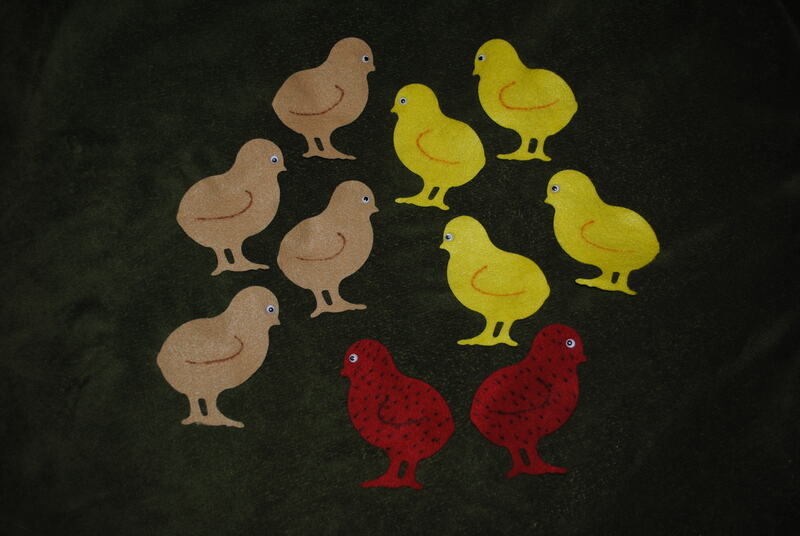 What a fun way to read the traditional rhyme with little chicks and bugs helping out along the way. My favorite part are the illustrations – never have I seen such beautiful chickens. 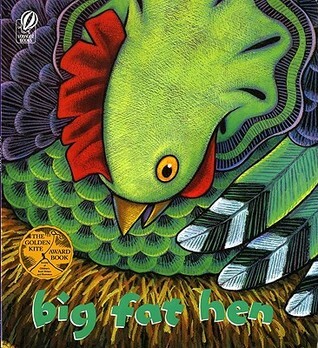 I love reading this book for Toddlers and Preschoolers alike and they all enjoy the big reveal from eggs to chicks at the very end. Confession: I usually show them the pages back and forth a couple of times and we revel in it with each replay. Good for Counting, Birds, Eggs, and Chickens. Do you know me at all? Have we ever met? If yes, you probably know that this is my favorite picture book of all time because I can’t seem to stop telling people. 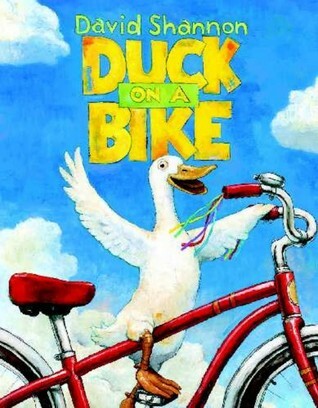 When presented with the opportunity, the cutest, bravest, cleverest duck ever decides that he can ride a bike. And guess what? He can!! He rides around the barnyard saying hello to all the animals and they each have their own thoughts on the subject. When more opportunities present themselves…the animals surprise even themselves. The key to this read aloud is to leave all inhibition behind and voice each animal with their own animal-noise voice. It’s hard to spell out how a goat would speak but I say it something like this: “Iiiii’d like to eeeeeeeat that biiiiiiike” with a nasal “maaaaa”-twang. I read this to Toddlers, Preschoolers, School Agers, parents, coworkers, strangers – anyone within earshot. 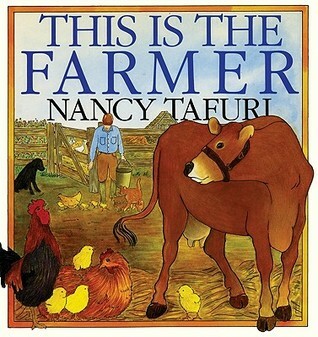 I read it for Farms, Ducks, Transportation, and Favorites … basically I will use any excuse. Please read it and love it. And don’t forget to share the very last picture of the duck and “the end.” The kids will laugh! 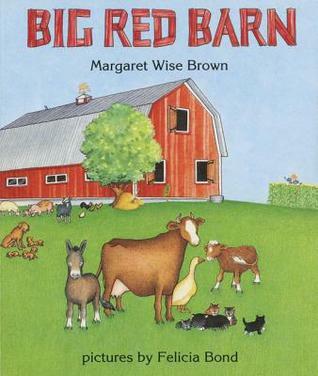 A lovely, quiet, classic about the animals’ day on the farm. I usually read the big book version to Toddlers and we talk about all of the activity. It’s a good chance to practice animals sounds, too. 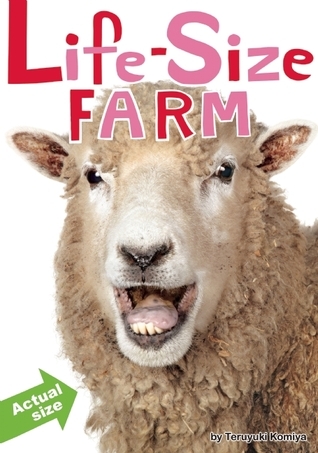 I find this book hilarious – not just because of the size…which is…life size (duh. 🙂 ) but also because it is full of strange little facts about the animals mixed in with the regular everyday stuff. And, as a bonus, there are unique farm animals included: alpaca, ferret, turkey – fun stuff. Everyone gets a kick out of seeing these animals in their real size (some of whom don’t even fit on the page!) and part of the beauty is that you can pick and choose what you show and what you share. Komiya gives us Life-Size Zoo and Aquarium, too. Check them out! Plus so many more titles on my storytime list on bibliocommons. Thanks to a Folder Story post by 1234morestorytimes, I discovered this wonderful trick to mix it up during storytime. 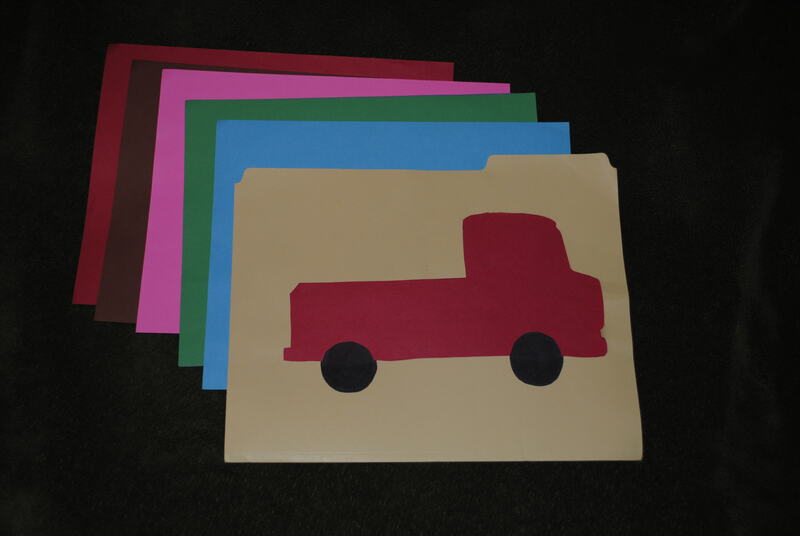 You need a manila folder with a truck shape cut out of one side, wheels drawn on the front, and an assortment of colored construction paper. As you “show” each truck, pull the paper out of the folder and put it behind you. “Yes, yes! That one wins the race! Why didn’t you show me that in the first place? !” and The McDonalds drive back to the farm in their new truck. Be sure to have 2 sheets of red paper to pull off the little joke, one at the front and one at the end – trying to fit the paper back into the folder during the story is a pain. 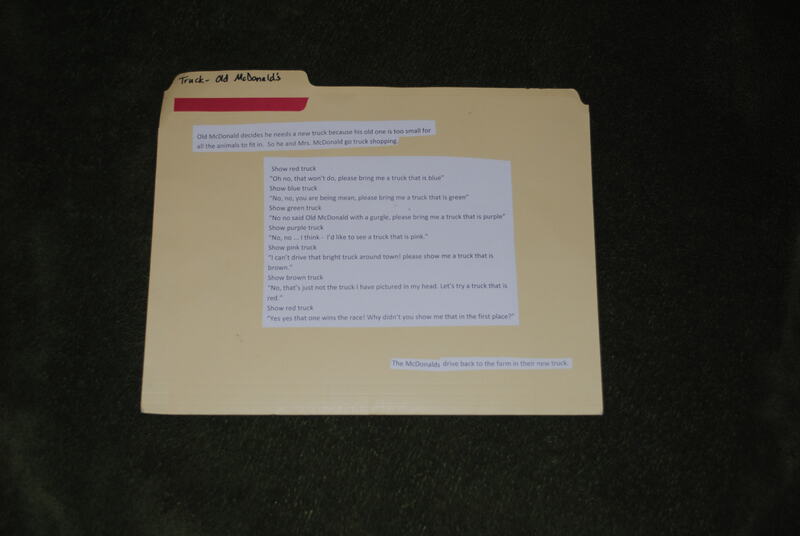 I glued the entire story to the back of the folder so I know what comes next. How many chickens have you got? “Four of them are yellow, and four of them are brown. I do this flannel with my hen puppet on my lap and often pull out an egg (plastic!) before putting her away. Then there were four clean squeaky pigs. Of course you can add any animals to this rotation. I often do this song with a bag full of puppets and pull them out as a reveal to the kids. Sometimes we just sing it without props or pictures of any kind and I have the kids call out animals. However I do it, I try to keep the rooster until the end because it is the hardest to repeat and we all end up laughing. It’s always good to end on laughter. I freehanded a sheep profile on some white paper and actually had a teen volunteer cut these out one day. I could have left the cutting to the kids but that had the potential to take awhile. 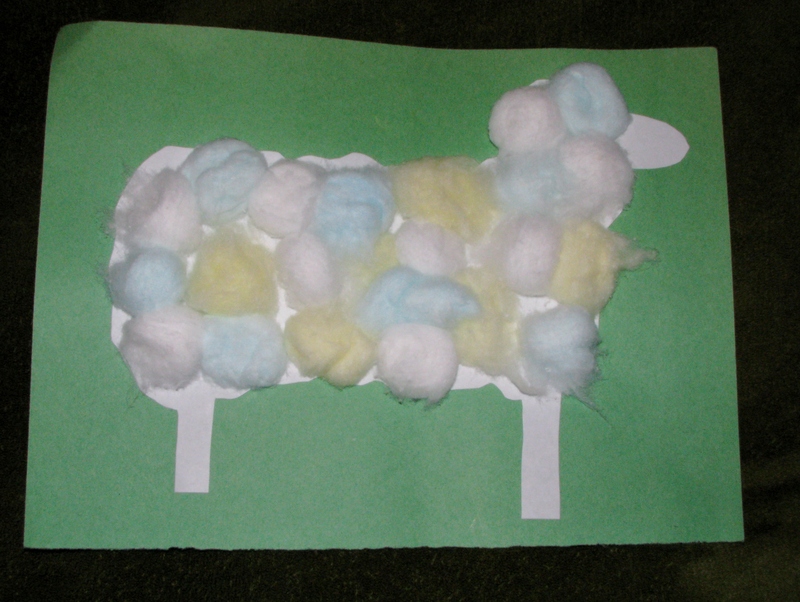 🙂 As it was, they had a great time gluing the sheep to the construction paper, picking out cotton balls to put on their sheep, and figuring out that it is MUCH easier to put the glue on the paper and then put the cotton on the glue rather then trying to put glue directly on cotton. Sticky fingers all around! I did tear the cotton balls/craft puffs in half since they were quite puffy. It made them easier to handle and doubled my supply. Winning! This craft works the fine motor skills with the glue sticks and cotton balls plus it introduces a new texture. You can encourage coloring the sheep to get even more practice in.